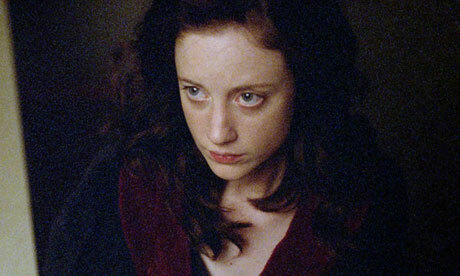 See the gallery for quotes by Andrea Riseborough. You can to use those 8 images of quotes as a desktop wallpapers. When I talk about work or my take on life, all the joyfulness and excitement never seem to make it in. When you're playing a romantic version of a real person, you're playing a version of the truth. You can't tell what's going to fulfill you in different stages in your life. Every time you get the chance to work with somebody you admire and would like to collaborate with... it feels like the best opportunity that's ever come your way, whether that's in fringe theatre or a really big-budget Hollywood movie. I don't read reviews, and it's not because I don't think I can learn something, I'm sure I could learn a lot. I just that I feel very passionately about the work and especially when you're doing theater, you really only need one director and when you read reviews, you feel like you have twelve, because you respond to them, naturally. I love the company of actors, but the crazier it gets, the more I've come to realise how valuable my time is with my friends who work on the land or are builders or, you know, make music. Work in offices. Run shops. My face is almost like a canvas - a blank canvas in the sense that the hair on my face is very, very fine and my skin is incredibly fair and my hair is quite dark, and that's very unusual. Often, I'll read a script and the female character's an extension or serves some sort of purpose in terms of the male character's narrative and it just isn't fully formed. But they will be very beautiful. Whether a secretary or a doctor or a vet, they will be very beautiful. People are fascinating. They're so unique and I think what's more fascinating is the reason behind the physical characteristic, the enigma, that's where the gold dust is. When I was little, I would always try and look into the television screen along the sides. I kept thinking if you looked in there, you could see what was happening off camera. I think any artist is a perfectionist by their nature. I am a Graham Greene fan - I'm just a ferocious reader. I read an awful lot when I get the time. I am quite odd-looking in real life. I don't like getting dressed up. It's hard because as a woman, as an actor, the whole world wants you to enjoy dressing up. I have no interest in doing anything other than good work. I think every work is hard in different ways. I think it's the easiest thing in the world to be horribly critical about yourself. I think the most important thing when you're telling a story is to just tell the story as best as you possibly can. I think, really, what I'm interested in is whole women, real people. I'm an artist; affirmation is like catnip to me. I'm interested in having a relationship with the world that's not my own. I'm not even sure that any of us are ever ready for anything. We can be ripe, or over-ready, but what is that moment when we're actually ready? Much more quotes by Andrea Riseborough below the page. I've always thrown like a girl. I've always worked very hard. I've worked with so few female directors. People think I'm totally crackers. Sometimes I can receive the world and regurgitate my version of events easily and sometimes it's hard. Sometimes I can think of nothing more blissful than going to Berkeley and reading Byron for three years. Sometimes you need to break away from something in order to know how much you need or want it. There's something really simple and idyllic about living in a house very close to the water.